2015 was a great year for recorded jazz, both globally and locally. My fellow writer Richard Sanford kicked off our year-end review with a great list of his favorites from the jazz world at-large. While I share a great degree of my colleague’s appreciation for this type of annual summary, my organization and decisiveness for such an endeavor for such an exercise is lacking, and it’s been a long time since I compiled a top ten of the year. For my contribution, I’m going to add unranked lists of five local (click on the album title for my review) and five national releases that I enjoyed over the past year, in alphabetical order. Linda Dachtyl, A Late One. While veteran organist Dachtyl has remained active as a live performer in jazz and many other genres, A Late One marked her first release as a leader since 2008. While the record still bears the soul-jazz grease imparted by mentors like Hank Marr and Gene Walker, this album found her expanding her sound and using new voices and techniques to excellent results. Mark Flugge, Mark Flugge Remembered: Jazz Originals and Standards. At the second annual Flugge Memorial Concert in June, this two-disc compilation of the late great pianist’s live recordings was released through the efforts of his wife, Lisa Jelle. Over the course of twenty-eight tracks, the immense nature of Flugge’s talent is on full display, whether through composing, arranging, or performing. The recorded lineups for the material ranges from solo piano to trio to small ensembles to big bands, and there is a wide variety of sounds, styles, and moods that should allow any jazz lover to find songs they love. There is even a very rare Flugge vocal recording, a heartfelt trio version of Bill Evans’ signature tune “Waltz for Debby.” This is a great way to discover Flugge’s material, or add to your collection of his previous recordings. Visit markflugge.com to purchase the album and stay up-to-date on future tributes and releases. Mark Lomax & Eddie Bayard (aka Ogún Meji Duo), #BLACKLIVESMATTER. The long-term pairing of drummer Lomax and tenor saxophonist Bayard, two of the area’s finest and most adventurous performers, produced a provocative yet charmingly down-to-earth recording inspired by the thorny issue of race and how it affects the African-American community. After releasing several other recordings in 2015, Lomax has big plans for 2016, including a new album by the duo scheduled for January, so stay tuned to his website for updates. Radarhill, The Yeilds. The flagship release by this up-and-coming quintet (now sextet, with the addition of trombonist/composer Nick Weckman) was likely the local release I listened to most in 2015. The group realizes its stated goal “to bridge the gap between the conservatory and the local dive” in a big way here, merging modern compositions with soulful expression in a variety of hues. The group just finished recording its new album Any Given Day this past weekend, so I’m looking forward to more great tunes in the very near future! Zakk Jones’ Screeching Owl, Dreams of Yesterday EP. While only an EP in length, guitarist Jones’ debut original recording has ample material to prove him a young composer and performer with a precise voice that has already developed a deep network of talented collaborators. As detailed in his recent interview here, Jones is another to watch for in the year to come. 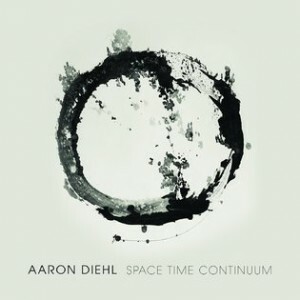 Aaron Diehl, Space, Time, Continuum. Pianist and Columbus native Diehl continues his ascension of the modern jazz ranks with this subtle chapter in the ongoing expansion of his palette that honors some of the living legends of jazz music. His usage of elder statesmen Benny Golson (tenor saxophone) and Joe Temperley (baritone saxophone) alongside his longtime trio (bassist David Wong and drummer Quincy Davis) and fellow rising stars Stephen Riley (tenor saxophone), Bruce Harris (trumpet), and Charenée Wade (vocals), establishes the meaning of the album title, showcasing jazz as an ongoing continuum of stylistic expression and not a list of eras, most of which are in the past. While Diehl’s compositions here are not genre-defying, they are certainly era-defying, mixing seemingly disparate styles (and players) to create reverent jazz that is alive with the modern age. Arturo O’Farrill & The Afro Latin Jazz Orchestra, Cuba: The Conversation Continues. This double-album masterpiece snuck up on me just in time for this list. Pianist and composer O’Farrill commissioned a team of both Cuban and American composers and arrangers to create a deep and joyous collection both inspired by and celebrating the newly restored relations between the United States and Cuba. There are also numerous guest appearances from both nations – saxophone maestro Rudresh Mahanthappa leads the charge on the four-movement “The Afro Latin Jazz Suite,” composed by O’Farrill in honor of his father Chico O’Farrill’s “The Afro Cuban Jazz Suite.” The bursting track list here is likely to inspire simultaneous amazement and dancing, and has helped stoke my personal interest in Cuban jazz. The Bad Plus Joshua Redman, The Bad Plus Joshua Redman. A highly anticipated collaboration between two top-tier entities of modern jazz which thankfully became a live tour that was thrilling to witness. While both the playing and writing are as jaw-dropping as expected, the element that took this album over the top for me (and as previously noted on the site by Mr. Sanford) is the unrelenting notion that all four voices belong together, as if they are and always have been one band. From the opening “As This Moment Slips Away,” the new quartet is locked in, delivering the type of sonic moments that both The Bad Plus and Redman are known for separately in one pleasing whole. Brian Landrus Trio, The Deep Below. A new discovery for me this year was the emerging talent of multi-instrumentalist Landrus. This appropriately titled album showcases Landrus on four low-register woodwinds: the baritone sax, bass clarinet, bass flute, and bass sax. While such a focus is very interesting to me personally, I can see how the concept could strike others as a dry, academic exercise. However, Landrus’ lively and emotional approach, teamed with a world-class rhythm section of bassist Lonnie Plaxico and drummer Billy Hart, yields vital material that can be enjoyed by all jazz fans. A breathtaking improvisation on “Giant Steps” and the rumbling contemplation of “The Beginning” are just two of the gems on this underrated portrait of the beauty of low woodwinds. John Scofield, Past Present. Another late entry to this list, this reunion of guitarist Scofield’s early 90s band, with saxophonist Joe Lovano and drummer Bill Stewart, plus bassist Larry Grenadier, is a warm and nuanced meeting of modern legends. Scofield has experimented with many sounds and styles over his long career, and personally speaking, many of the resulting albums have left me cold. I wasn’t expecting Past Present to be different, but from the onset, Scofield’s sly lines and Lovano’s buoyant melodies backed by a supportive and occasionally adventurous rhythm section just clicked. If you haven’t checked out Scofield in a while, or are new to his work, this is a great place to start.